You may find yourself at a loss for words as you reach the top of your first Virginia mountain. Which is OK, because the panoramic view of the surrounding ridges and valleys stretching endlessly toward the horizon won’t require much talking. Seeing as how Virginia is an exceptionally photogenic state, your summit photos will speak for themselves. The good news is that mountaintop scenes like this abound in Virginia—and could keep you busy bagging summits for years. The better news is that most of them can be reached within a very few miles of your car. 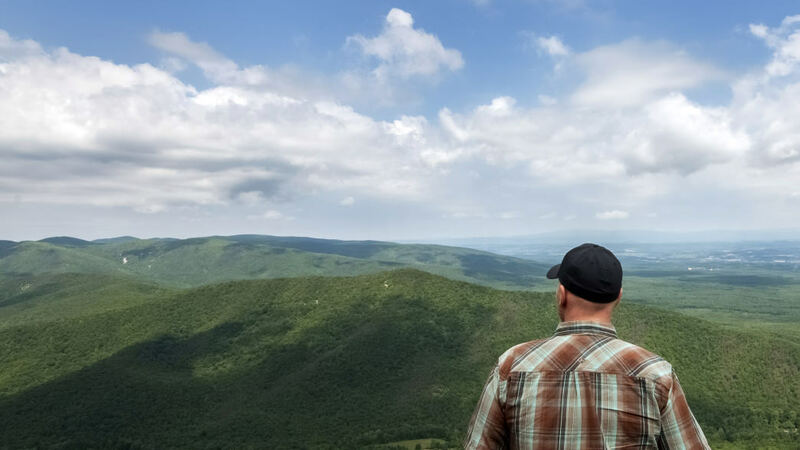 Of course, a hiking tour of Virginia wouldn’t be complete without a trip to the state’s highest point, Mount Rogers, which does require a bit of a walk. At 5,728 feet, Mount Rogers may not be at an especially grand elevation, but it is set amid some pretty spectacular scenery. The nine-mile, out-and-back hike to the mountain’s summit begins at Massey Gap and meanders through Grayson Highlands State Park and George Washington and Jefferson National Forest, sticking to the Appalachian Trail for most of the way. 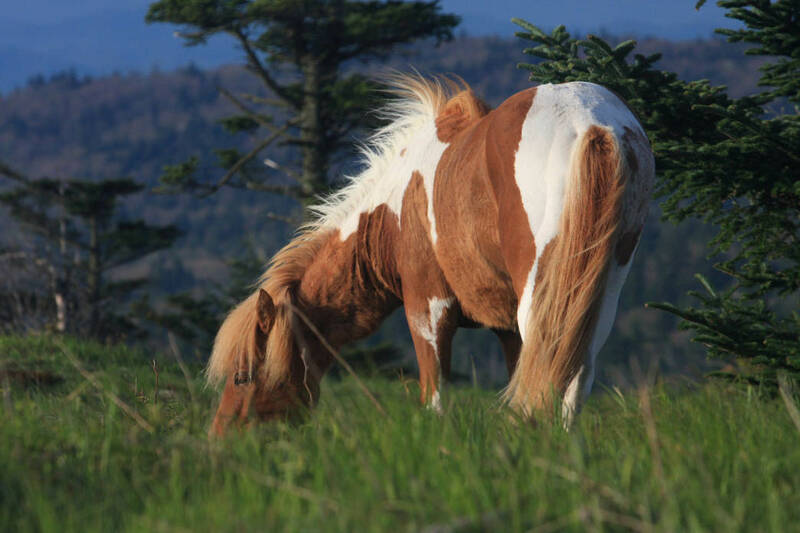 In the rolling high-country pastures here you can often catch glimpses of the famed wild ponies that roam the area, using their impressive looks to try and pilfer snacks from visitors. Don’t be fooled, they are wild animals, and should be given plenty of space. Just before the summit, the trail enters a beautiful old-growth spruce/fir forest that encompasses the top of the mountain and pretty much obliterates any views. Don’t let this discourage you, though: All along the approaching trail you’ll enjoy sweeping vistas of the surrounding highland balds and peeks into the lush valleys below. The views of the rolling grasslands and rocky hills make the trek up Mount Rogers more than worth it. This trip makes a great long day hike, or you can use the trailside backcountry sites to turn your Mount Rogers expedition into a multi-day adventure. A visit to Virginia’s second highest point requires significantly less effort. The state’s highest navigable road will take you very nearly to the summit of Whitetop Mountain. All that’s left when the well-maintained gravel road runs out is about a half-mile hike to another spectacular peak. Like Mount Rogers, Whitetop Mountain is also cloaked in an old forest, but the trees leave room for a panoramic view of three states. This mountain is an ideal spot to catch a lovely Virginia sunset, especially since the walk back to the car is so brief. 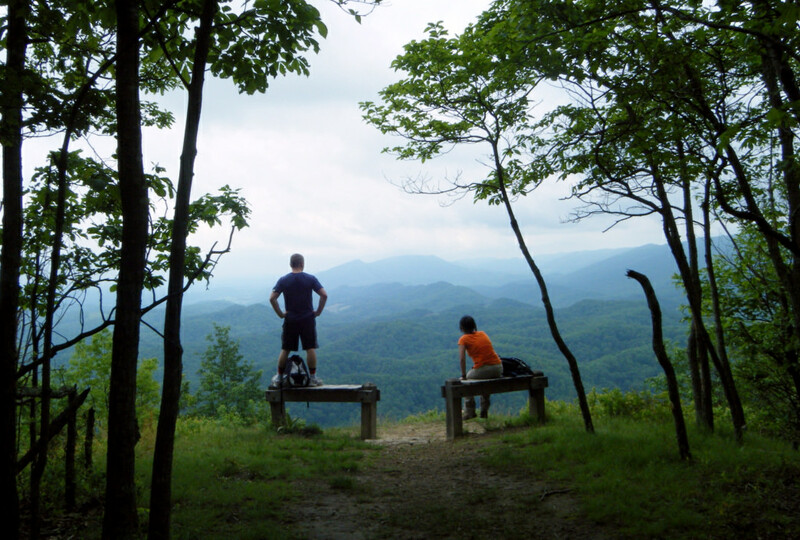 For another longer hike, a trip to McAfee Knob should be on anyone’s Virginia bucket list. This 8-ish mile round trip will take you to one of the most photographed spots along the Appalachian Trail. The trail leaves from a parking lot on VA311, which often fills on weekends as the hike’s popularity has grown. The ascent is decently long but fairly gradual, reaching its apex at just under 3,200 feet. From McAfee Knob, an extremely photo-worthy jutting rock formation, you can enjoy 270-degree views of the Catawba Valley and the tree-covered ridges below. Another of Virginia’s many gorgeous recreation areas, Hungry Mother State Park, is a wonderful place to take a small walk for a big view. The 1.6-mile roundtrip hike to Molly’s Knob is moderately difficult (it becomes a bit steep near the top) and weaves through dense rhododendron tunnels on the way to the summit. At about half a mile, the trail offers clear view of the prominent Molly’s Knob, the park’s highest point, and the lake below. The final half mile of the hike becomes quite steep as you push for the summit, but you’ll be rewarded by two welcoming benches at the top. From here you can look out onto Mount Rogers and Whitetop Mountain to the south as you rest before the return trip. These peaks only scratch the surface of all there is to discover in the mountains of Southwest Virginia. Whether you opt for the rigorous Mount Rogers trek or a smaller but equally rewarding jaunt, you are sure to find a beautiful panoramic vista from which to enjoy a picnic, a sunset, or a sunny southeastern afternoon.